It's been rumoured and speculated about for a long time now but finally the product that Shimano fans have been impatiently waiting for has hit the shelves – a 12 speed drivechain to compete with the seemingly ubiquitous SRAM Eagle. As with all things Shimano new innovations start at the top and filter down so the first range off the block is their race orientated XTR. The whole M9100 groupset gets an overhaul not just the drivechain – new cranks, brakes, freehubs, derailleur, shifters all arrive at once as Shimano aim to blow us away with their new offering. The big conundrum that everyone wanted to know the answer to was how Shimano would fit the new 12 speed cassette to the freehub? It was highly unlikely they were ever going to adopt SRAMs XD driver so the smart money was on a new Shimano driver to cope with the extra gear cog. And they were spot on, as we welcome in a new freehub design - Micro Spline. 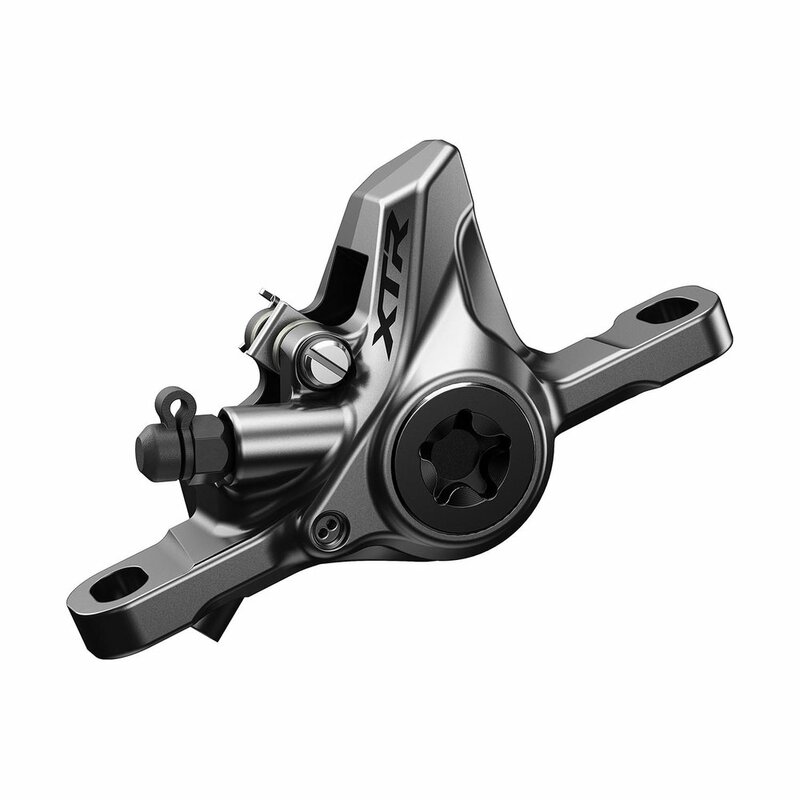 With 23 deep, rectangular splines, the Micro Spline freehub body is forged from aluminum. The inspiration came from Shimano's Center Lock brake rotor interface, and it allows the use of stand-alone cassette cogs, in conjunction with a new lightweight spider system. As well as that comes the introduction of SCYLENCE technology in Shimano’s rear hub. This new technology replaces the pawls with a ratchet system to reduce drag whilst coasting and create a virtually silent hub so you can focus more on the trail ahead. While Micro Spline is yet another new standard it's worth noting that it's Shimano's first ever update to their original freehub design and one that will undoubtedly become the new norm for team blue. The next big question will be how will Shimano license out their Micro Spline tech, early rumours have it that initially only DT Swiss have a deal to use it but i'm sure that change soon. There are x3 cassette options with the new M9100 - The massive ranged, Eagle topping 10-51T cassette, a 10-45T for faster or less steep terrain and smaller gear steps. 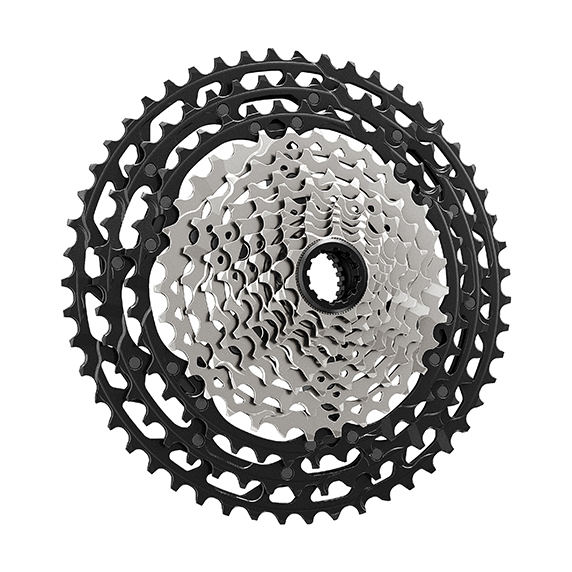 Then in a unusual move the third cassette option is an 11 speed option that works with the new Micro Spline. 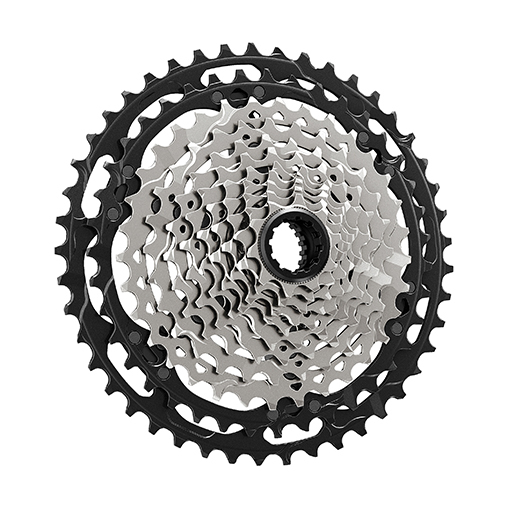 Essentially it's the 10-51T cassette with the 51T sprocket removed to create an 11-speed cassette with 12-speed gear spacing. The benefit of this option is that it gives riders the chance to create a lighter bike and stiffer wheels which can be used with the same chain and shifter that the 12-speed set-up uses. Crankset: Alongside a dedicated 12-speed chain with a 12-speed QUICK LINK comes a 12-speed crankset with that famous hollow crank arm. XC 1x12-speed riders are well catered for with a wide range of direct mount chainrings saving up to 80 g in weight and available from 30T-38T. Enduro riders running 1x12-speed can add the XTR chain device to aid chain retention and they have the option of the FC-M9120 crankset with a wider Q-factor to fit particular frame dimensions. 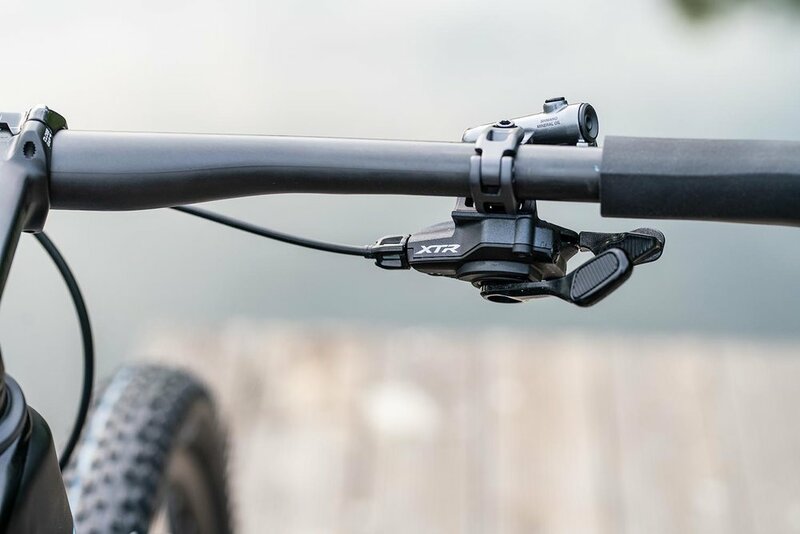 Brakes: Building on what are already the standard to which all other brakes aspire to be, the design of XTR M9100 brake lever has changed with a repositioned clamp band and lever body. The clamp moves towards the middle of the lever body and the edge of the lever body is cleverly braced against the handlebar to create a stiffer brake with more direct contact feeling and improvement in control. The 2-piston option comes with a lighter weight XC brake lever with the option to adjust the reach of the lever arm. The 4-piston brakeset also features a dedicated brake lever but with a tool-free reach adjust function, free stroke adjust function and Shimano’s Servo Wave technology to give rapid pad-to-rotor action. Both calipers are made from aluminum, use a high rigidity brake hose and provide faster brake engagement with a shorter free stroke. Derailleurs: Three rear derailleurs are available at XTR level - a long cage, a short cage style and the double chainring long cage style, all with a sleek, aggressive and angular anodized aluminium design. To aid shifting performance the pulley wheels go from 11T at XTR M9000 to a larger 13T size to increase chain retention and together with the rear derailleur’s SHIMANO SHADOW RD+ design, helps minimize chain bounce. Shifters: The theory behind the shifter design was to allow riders to instantly adapt to rapidly changing conditions with improved cockpit integration for shave crucial tenths of seconds from each operation. That has been achieved through the creation of an I-SPEC EV design, which is the system by which handlebar controls can be mounted together. The new I-SPEC-EV designs give 14 mm of lateral sliding range and 60 degrees of rotational positioning so riders can find their most ergonomic hand position on the shifters and levers and have clutter-free handlebars. As well as that, Shimano now introduces a dedicated dropper seat post lever with an I-SPEC-EV mount that’s compatible with all common adjustable seat post types in the market including the PRO Koryak Dropper post. The new M9100 XTR looks like an other amazing product from Shimano and well worth the wait for those fans who've been staring enviously at their friends 50T Eagle cogs. Hopefully the Japanese get the more universally obtainable XT range out to public as soon as possible.